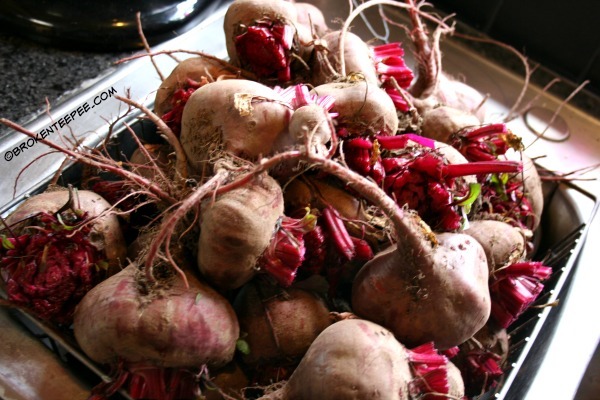 The bulk of the beet harvest came in yesterday. It’s a little bit earlier than usual and I am sure it’s because of the heat we have been having. It’s also a smaller harvest than we usually see. 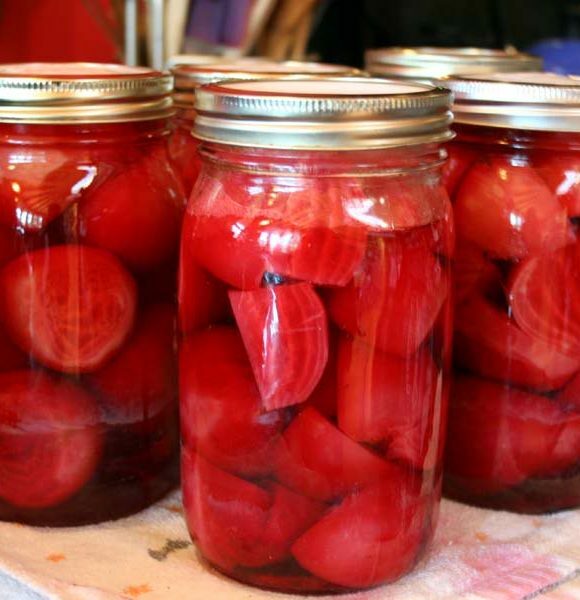 I still have quite a few jars of pickled beets from last year so this year I just processed all that came in for the freezer. 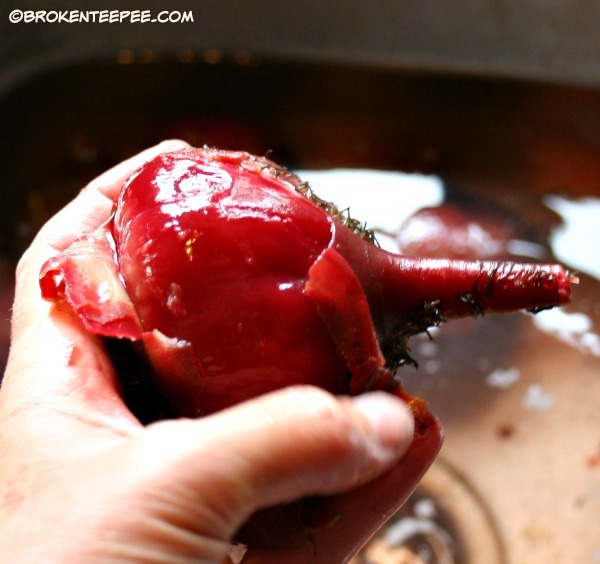 I hadn’t realized I could freeze beets until a neighbor told me about it a couple of years ago. It’s so much easier than canning them and since I have the freezer space this is my preferred method now – at least for those I’m not pickling. First the hubby brings the beets in. 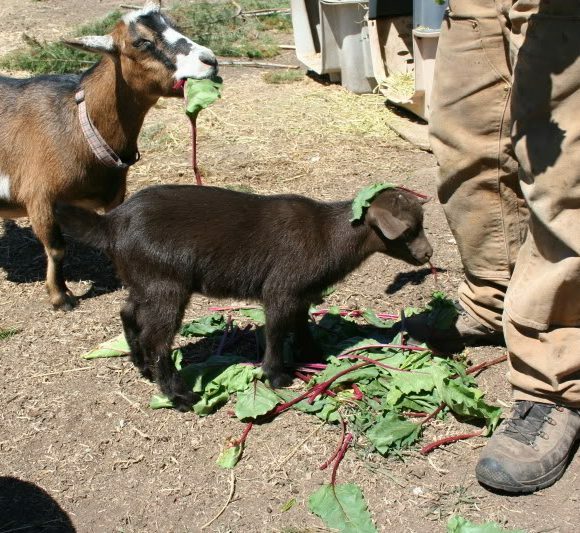 I trim the greens and put them aside for the goats. I think they enjoy the garden even more than we do! 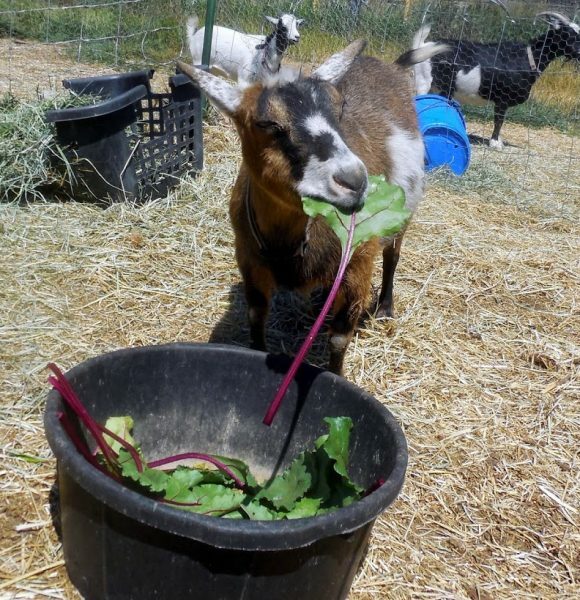 I’ll have a post later showing just how much they love beet greens. 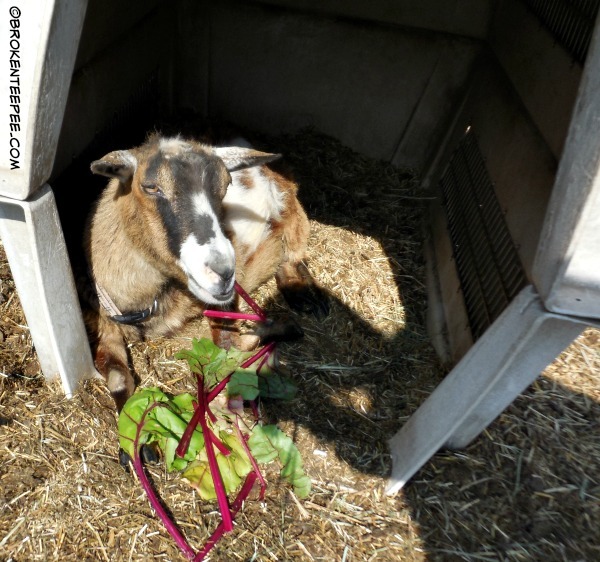 Pricilla gets them delivered right to her goat house…. …she’s not spoiled or anything. I think she’s smiling! Once they are trimmed I set them in my dish drainer to make it easy to clean them. Root vegetables are full of dirt. And earwigs. I HATE earwigs. Stupid, ugly, prehistoric looking, nasty bugs. 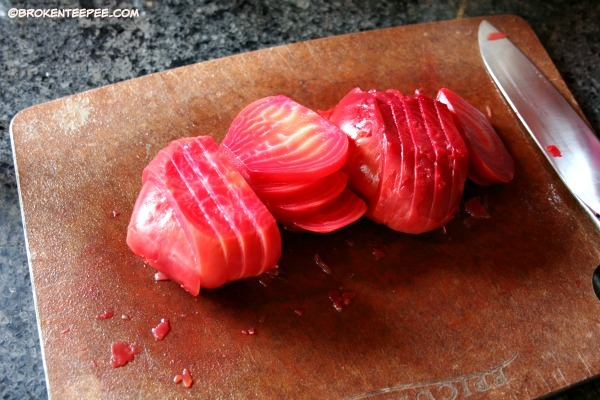 But back to the beets. I trim them further to get them ready to boil. I cut down the leaf ends and snip off most of the root end. After they are all trimmed I sort them by size because they will cook evenly when I put them in the pots to cook. The really small ones I held back to use for the hubby’s dinner. I had two pots going so the boiling went pretty quickly. 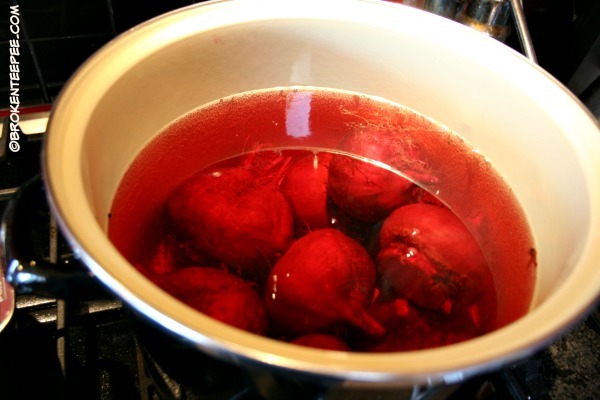 I cover the beets with water, bring it to a boil and I let them cook until they are just tender. The timing depends on how big the beets are. I just keep testing them starting at 15 minutes. 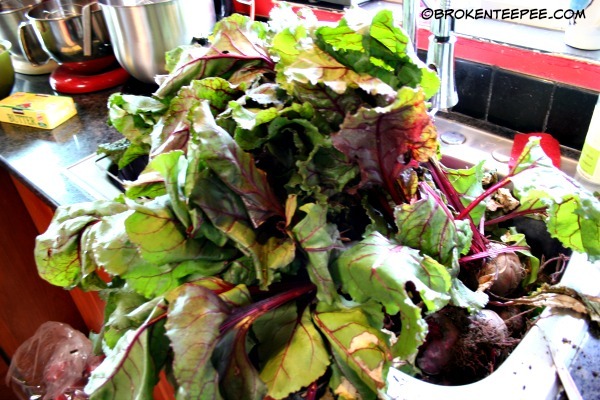 When they are ready I pour them into the sink and run cold water over the beets. The skins should slip right off. With the different sizes and using two pots they get done in shifts so it’s not too bad. 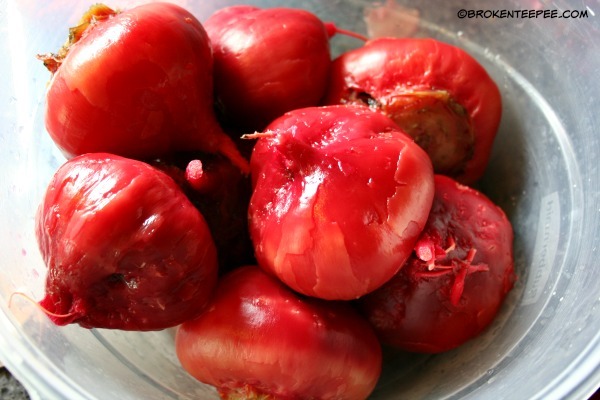 When I have a batch peeled I put them in bowl and get ready to cut them up for freezing. I trim off the tops and the roots and then I slice them. The cuts are about 1/4″ thick. 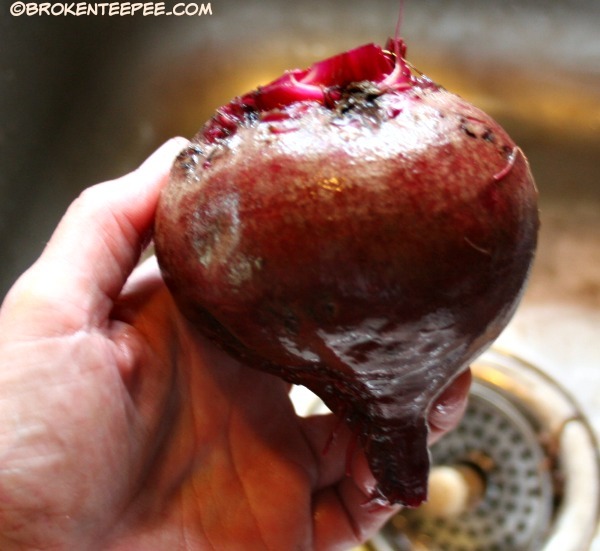 I then package them in zip bags in one person serving sizes as I don’t like beets. To cook them from the freezer I either roast them with a bit of olive oil and balsamic vinegar or I can saute them as well. 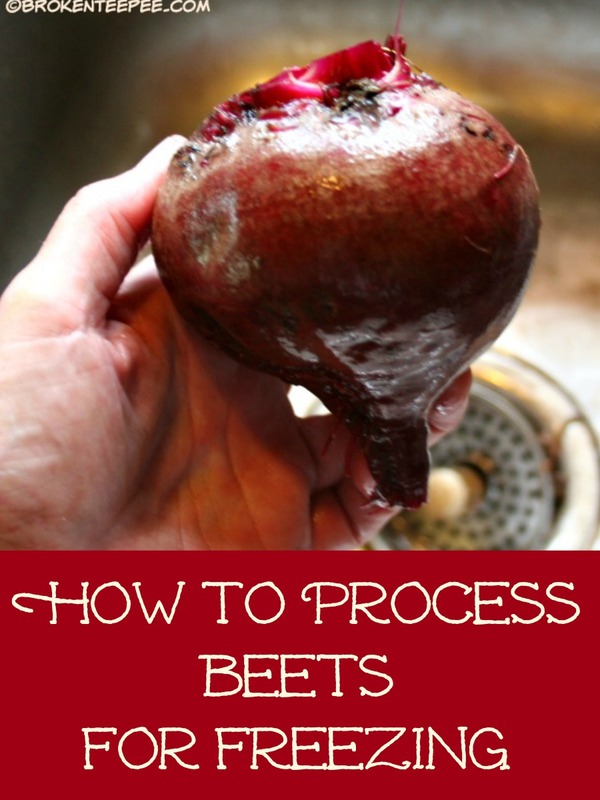 I am so glad that my neighbor told me how to freeze beets ’cause it has saved me a lot of time and shelf space.